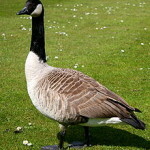 The ubiquitous Canada goose is one of the most recognized birds in North America. These large tan and black birds with the banded neck can be seen along waterways or migrating in familiar V-shaped patterns which herald the beginning of spring. Canada geese (not “Canadian”) were once endangered from over-hunting, but are now plentiful throughout the contiguous U.S. and Canada. Imagine a bird with an identity crisis. Surely it would be the California quail. Even though quite capable of flying, in most cases this colorful bird has forsaken this magnificent talent in favor of running. 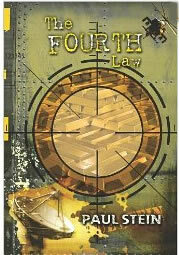 Why remain grounded when the world of flight offers such rich possibilities? 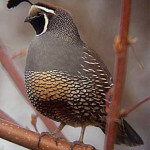 The answer lies in the woodland chaparral the quail occupies—a habitat rich in food, cover, and security.